THE TITLE FOR this post could almost as well have been “Warlords II, Flashback, Abuse and How I Spent My Youth“. Well, perhaps not really; I did play a lot of other games too :-D. When I think of great games I played in my long “carrier” of PC days, those three games I’ve always categorized as games with exceptional gameplay and a spellbinding atmosphere. No matter how horrible the graphics may look today, these properties was what kept you playing hours upon hours. When it comes to Warlords II, me and my friend Michael Rasmussen that lived a couple of houses down the street, used to battle in this game for an almost infinite amount of hours – and before that, we played Warlords I for almost as many hours. Actually when hearing the hours being clocked by people playing WoW it reminds me of myself playing Warlords. I guess its the same magic. Warlords II is reincarnated in an free open source clone LordsAWar. This project builds on the C++ implementation of FreeLords ( FreeLords it self, seems to have spawned as a Java implementation instead). 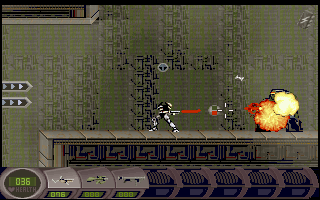 LordsAWar is a multi platform game and can also be fetched from the Debian repository. What Flashback have in gameplay and story it also had in graphics and jaw-dropping animation sequences. 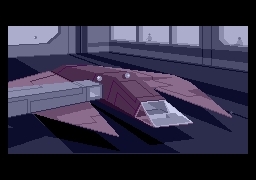 Presented in a dystopian theme, it were almost something like a “Indiana Jones meets Blade Runner” feeling of the game. 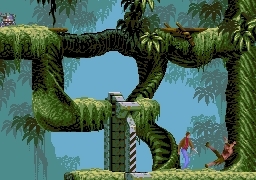 Flashback is released for Amiga and DOS platforms, but some talented fans have written the game engine REminiscence as a multi platform replacement for the original game engine. Supplying the game data files, downloadable from Abandonia, and compiling REminiscence is that enough revisit Flashback ;-) on a Linux box. 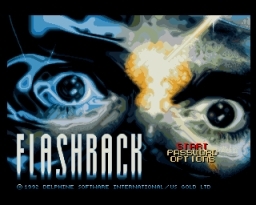 A later extended CD-ROM version of Flashback is also available on Abandonia. Old reviews can be read on the Amiga Magazine Rack. Abuse is also abandonware and is available from Abandonia, but also exist in a free open source edition called Abuse-SDL. Like Flashback, Abuse is a dystopian game where one guy must escape from prison where all his cell mates has become monster due to experiments gone wrong. 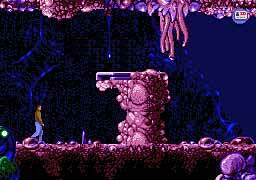 Abuse is both a horizontal-scrolling and vertical-scrolling platform game. 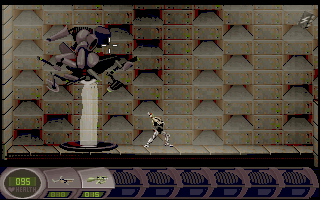 The controlling of the main character is somewhat unusual for a platform game, as the keyboard moves the character and the mouse controls the gun aiming. A review is available on the Amiga Magazine Rack. Well… time for some more gaming. How needs sleep anyway? The original Warlords II (and Warlords II Deluxe) plays fairly well in the latest release of DOSBox. It’s still just as good as it ever was.